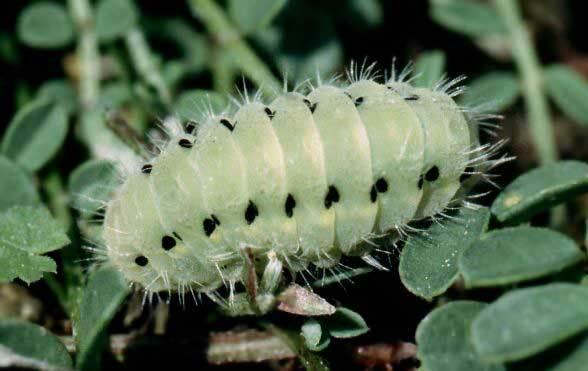 The caterpillars live on Fabaceae, especially Hippocrepis comosa, Coronilla varia and Onobrychis viciifolia. 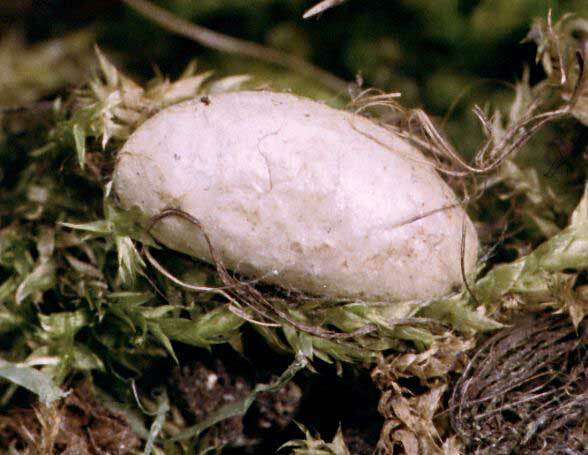 The natural use of Lotus sp. 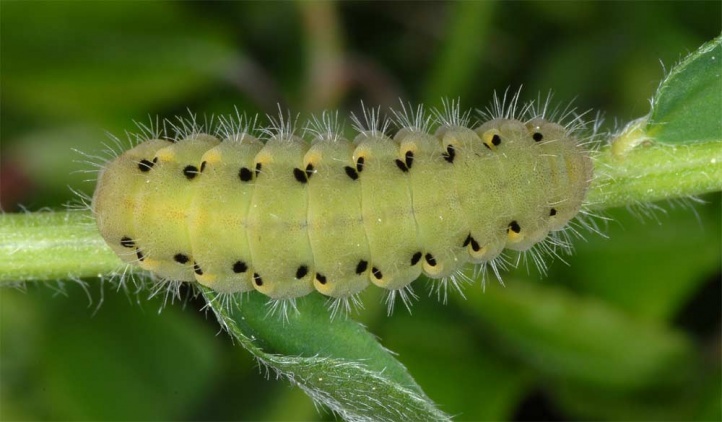 is likely, but not certain, since I never observed caterpillars on it and found the spread of the moth covering with the three host plants in the biotopes (on the eastern Swabian Alb in Germany). 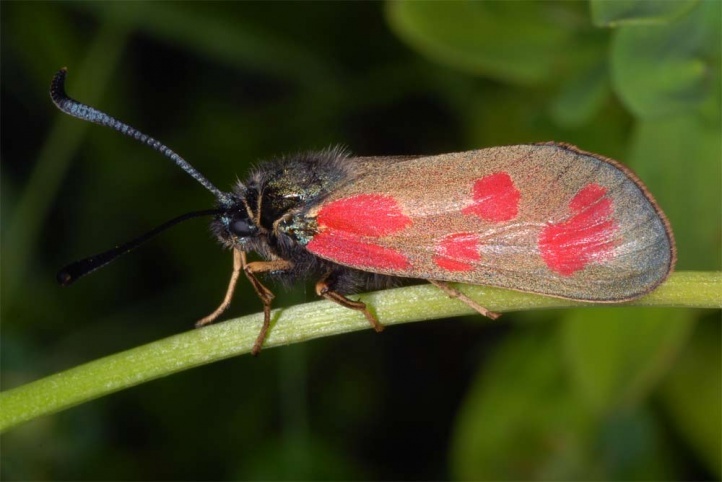 Zygaena loti colonizes limestone grasslands of all kinds from the lowlands to high mountains. 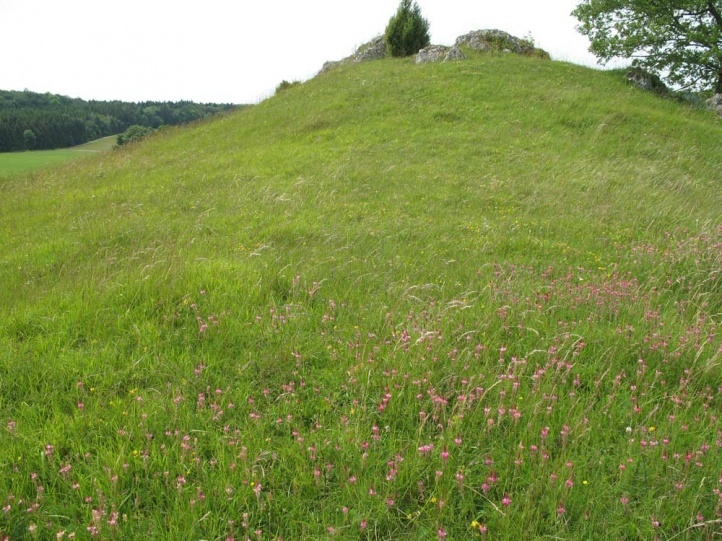 One focus is on dry, warm and slightly higher growing, less grazed areas. 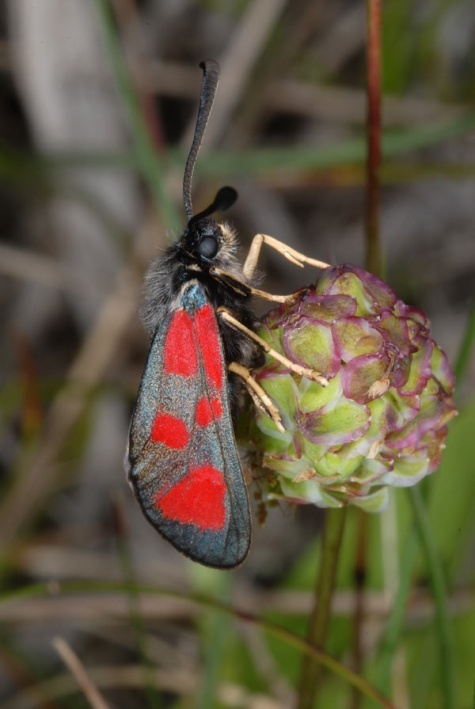 Zygaena loti is in many places a very early Burnet. 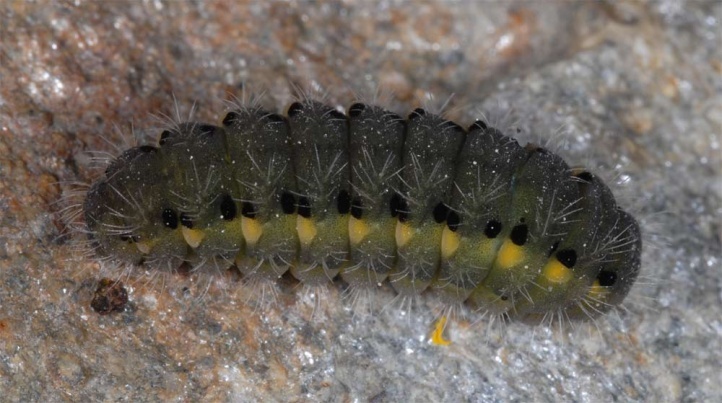 The caterpillars moult out of hibernation dormancy in late February or early March (such as on 23.02.2008 in the Swabian Alb) and are mature in May and early June. 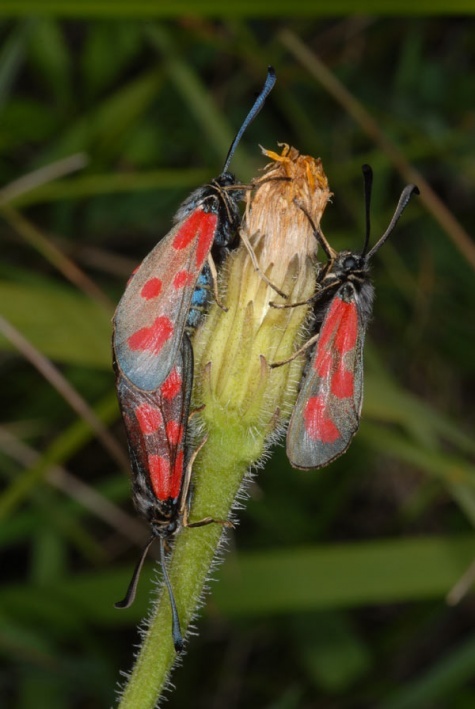 They generally hide well concealed in the moss layer at daytime, where they also construct their cocoons (similar to Zygaena fausta, Z. minos, Z. purpuralis and mostly also Z. carniolica). 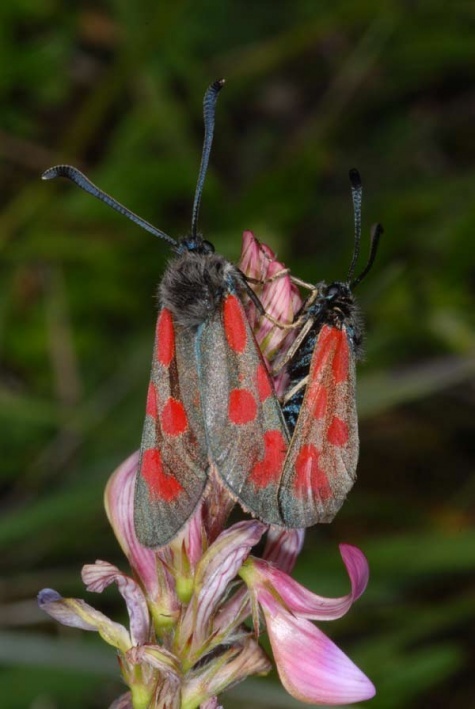 Adults are on the wing between early June and early August. 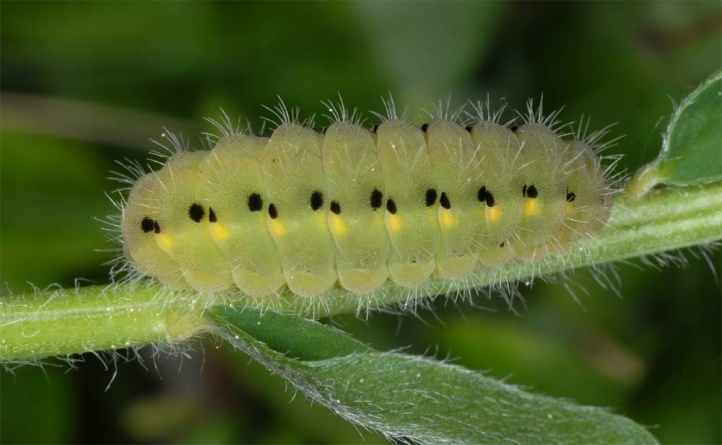 Some single, delayed, fresh individuals may occasionally occur also later. 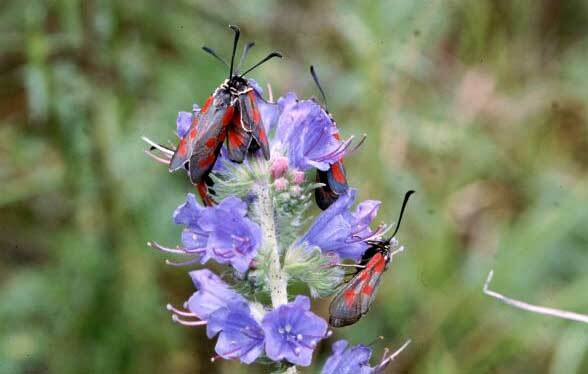 Zygaena loti generally occurs in somewhat lower densities than it is the case with e.g. 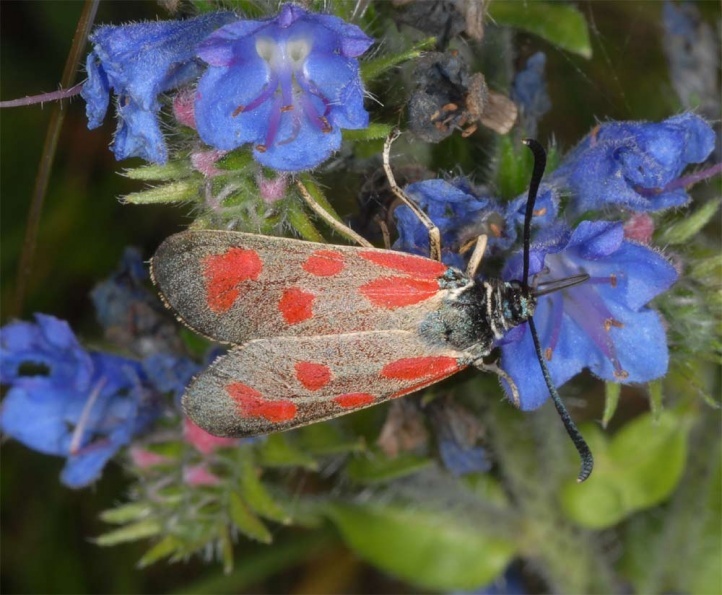 Zygaena carniolica. 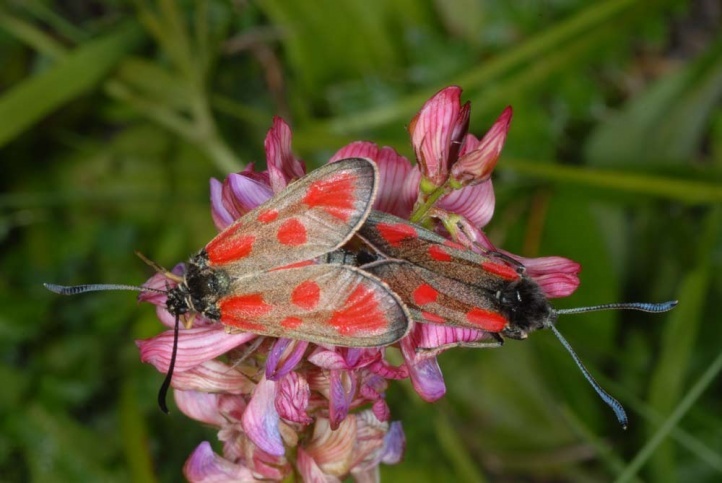 Zygaena loti is still relatively little endangered, but it is in decline in many regions outside the mountains due to habitat loss. 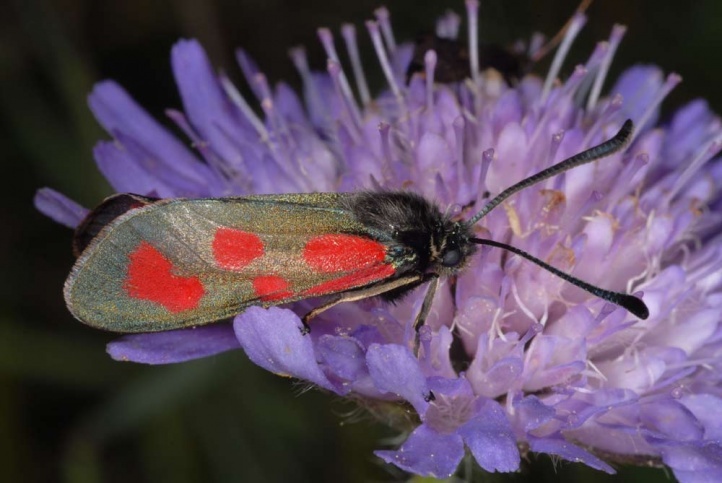 Particularly in the Jura and the Alps and together with Zygaena filipendulae, Zygaena loti still belongs to the commonest burnets in the summer aspect of calcareous grasslands. The distribution ranges from the Iberian Peninsula (local and only in the north) across Central and Southern Europe to Siberia. 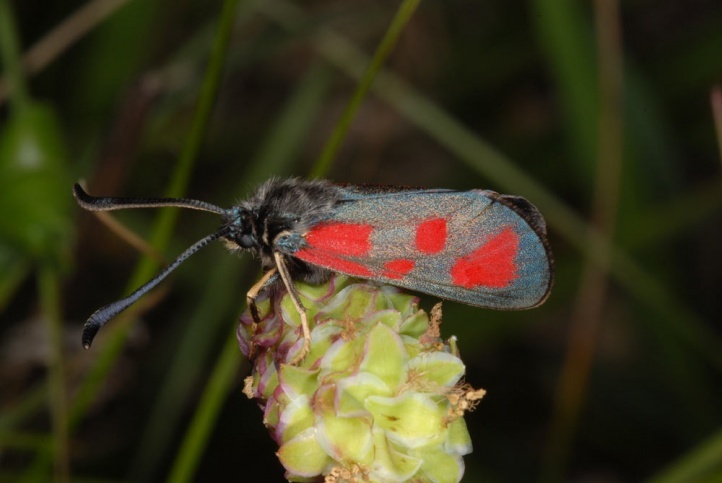 In the north (Scandinavia) Zygaena loti is missing, but it has apparently an isolated occurrence in Scotland.